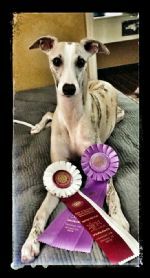 that show or do dog performance or sports with their whippets and greyhounds. These dogs were all bred by myself and I could not be more proud of each and every one of them and their owners! Hugh received his title in only 4 weekends of showing! Kitz was very selectively shown but gained his title easily. 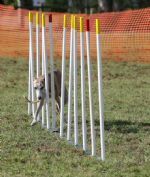 Kitz now does Agility as well! 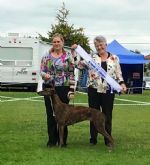 Zeus was placed 5th from 19 dogs in the Junior class at Crufts in 2017! He was the youngest dog in the class as well. 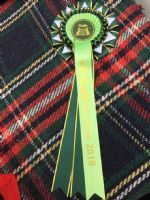 Crufts 2018 Crufts Qualifier rosette!!! 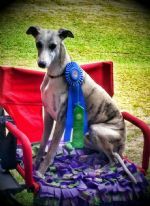 Knight enjoys both the show ring and Lure Coursing! 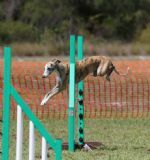 Kahley enjoys Agility, Rally O and Obedience. 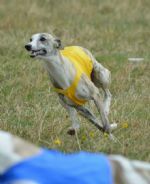 She will also be giving a go at Lure Coursing next year! 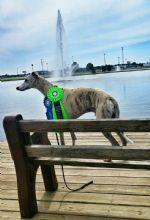 Comet does Obedience and will be joining his sire in Lure Coursing!